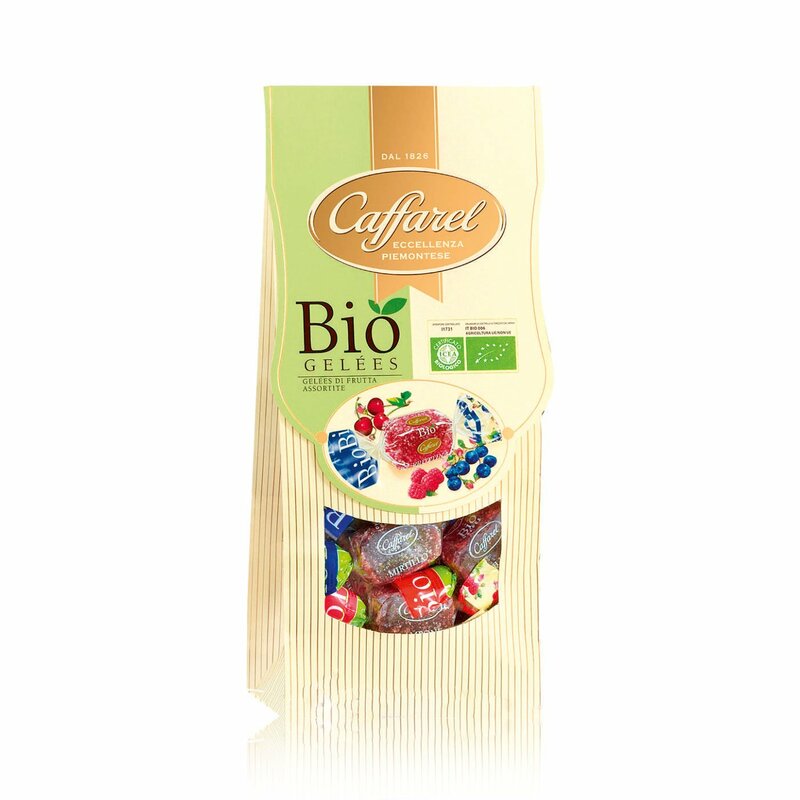 Caffarel takes all the goodness of fruit gelées to another level by using pure fruit pulp and all-natural ingredients. The Caffarel gelées assortment is composed of a series of delicious flavours with an intense fragrance of woodland glades and summer delights: cherry, raspberry and blueberry. 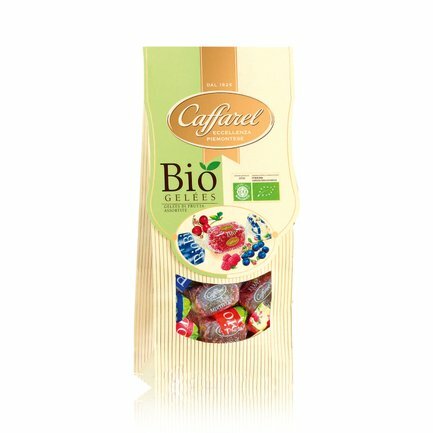 Soft, delicious and wholesome, these fruit gelées provide a delicious moment of sweetness that can be enjoyed every day. Ingredients Sugar, glucose-fructose syrup, water, gelling agent: pectin, concentrated fruit juices (blueberry, cherry, lemon, apple) 2% (corresponding to 10% fruit juices), acidifier: citric acid, flavourings. Gluten-free. For more information on product labels, please contact our Customer Service department. The information on the labels of the products may vary for reasons beyond our control, therefore, there may be discrepancies between the information on the site and that on the products delivered. Please always check the information on the product before consumption or use. The name Caffarel is inseparable from the most refined art of chocolate tradition, but the company's product offering is far more extensive: pastries, sweets and gelées, macaroons... Each Caffarel product is the result of an historic quest for excellence and the creativity displayed with daring innovative recipes destined to become classic products: in 1852 Caffarel created the Givu, a chocolate in which part of the cocoa was replaced by the Tonda Gentile hazelnuts from the Langhe area of Piedmont, leading to the birth of the original Giandujotto. Since that time Caffarel's dedication to top quality chocolate has led to the creation of a broad range of delicious products.